Based on the UVS model, the phenomenon of tidal bore is a section of a huge traversing standing wave manifested by a resonated torque-free precession with a wobbling Earth. In the UVS worldview, the phenomenon of tidal bore is triggered by the effects of focused precession effects, and apparently the effects were observed to be much more intensified during equinox of the Earth. From the UVS perspective, the tidal bore phenomenon could be formed by a torque-free precession resonated on viscous matter medium of Earth, which is caused by a torque-induced precession manifested in with the Solar System alignment effect. These precession effects could vortical manifest standing waves that are resonated inside the Earth through its liquid core, mantle sphere, oceans, open water, and atmospheric layers. It is known and predictable that tidal bore events are triggered seasonally, and can be more intensely triggered many times over several days around equinox when the Solar System alignment for Sun, Earth and Moon occurs. And past tidal bore events were also known to be associated with earthquakes and tropical cyclones. 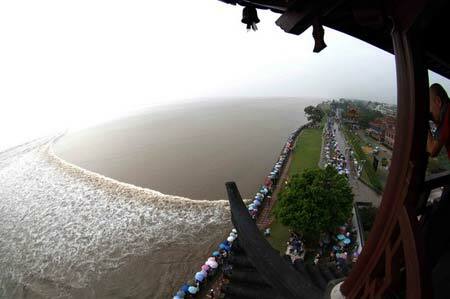 A tidal bore-watching festival in the Qiantang bay of China. Watch video clips on "Tidal bore event in Hang Zhou, China" and "Tidal bores in Amazon river" that show some mysteriously manifested tidal bore events. UVS predicates that a tidal bore on Earth can be triggered seasonally with a focused precession effect of Sun, Earth and Moon manifested at a focal point in the open water. The fact that tidal bore strongly correlates with the precession cycle of Sun, Earth and Moon during the equinoxes annually, is a qualitative proof that tidal bore is rendered by the resonated torque-free precession of a wobbling Earth. UVS predicates that tidal bore is a traversing standing wave manifested by a resonated torque-free precession of a wobbling Earth. See the UVS topics on "The Great White Spot on Saturn" that elaborates on how a chain of satellite free vortex cluster were periodically observed to have manifested by the axial-tilt of Saturn with its revolving precession effect, "The unisonal vortex mechanism" for detailed explanation on naturally occurred free vortex, "Do an interactive experiment to experience gyroscopic precession", and "The causality of tidal force" that illustrates on how tidal field acutally acts on the viscous matter on a celestial spheroid. 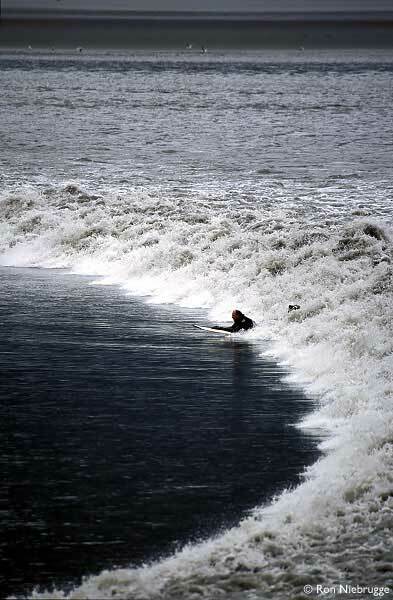 While tidal bore events are known to occur all year round, nevertheless, it is interesting to note that tidal bore events are more spectacular and strongest at places in the Northern hemisphere such as Qiantang river in China during autumn equinox in September, and at places in the Southern hemisphere such as Amazon river in Brazil during spring equinox in March. 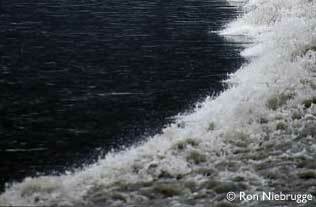 One minute time-lapsed image of a phenomenon similar to tidal bore had occurred in a reservoir on 04/05/08 @11:16 a.m. The Solar System arrangement was Earth, moon, Sun and Venus were aligned. See a larger time-lapsed image. The above time-lapsed images were captured in a reservoir of still water at the moment when there was an alignment of Solar System objects. Apparently, there were no winds or externally induced flow of water for causing the interefence pattern of a supposedly huge arc line, which was observed to be slowly moving toward the observer from the south-east to the north-west. The cognitive paradox that renders tidal bore as a mysterious phenomenon, was thus resolved with its underlying mechanism explicated. The grounding for its epistemic theories of truth: The underlying structure and mechanism of tidal bore as explicated with its hypothetical construct based on the UVS model, elucidated its delusional observations that render its misconceptions, mysteries, and anomalies. 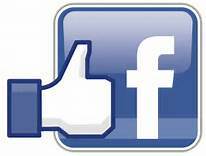 Thus, its cognitive paradox could be meticulously resolved, and all the related natural phenomena were then qualitatively analysed in the conceptual frameworks of UVS by inductive reasoning for explicating with their empirical evidence to predicate by abductive reasoning. 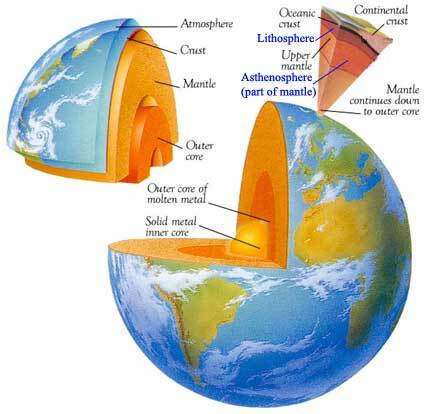 Based on unisonal vortex mechanism, seismic waves transferred from a rumbling forced vortex of mantle sphere formed underneath Earth's crust in its torque-free precession effect with mild earthquake vibration from its hypocenter, can resonate on the surface of an ocean or open water to manifest the phenomenon of tidal bore. 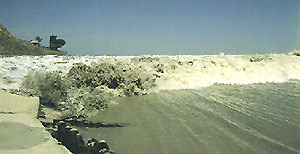 A characteristic for this type of tidal bore throughout such event, is the lack of substantial winds, and even the lack of water flow in closed lakes. A precession effect acting on the mantle sphere of Earth, can propagate seismic waves to rumble on the surface of open water. In gentle and stable manner, it would manifest as a traversing tidal bore. UVS predicates that tidal bore can be manifested by seismic waves transferred from a rumbling forced vortex of mantle sphere formed underneath the Earth's crust. 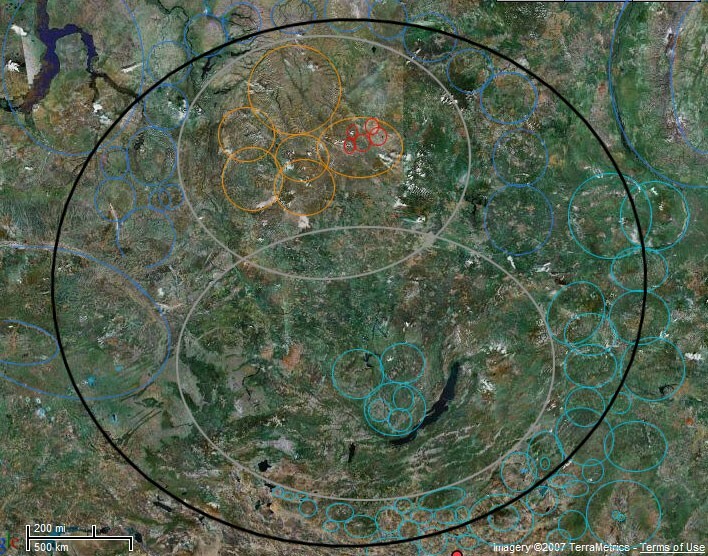 See the UVS topics on "The driver of earthquakes" that elaborates on how forced vortices of mantle sphere could trigger earthquake events, "Dual-core crater" and "Tunguska event" that illustrate on how cratering events could be vortically formed. The animation above on Chinese spouting bowl demonstrates that momentum in waves can be transferred from the bronze bowl and oscillates on surface of water at a resonant frequency that can vortically spin water out of its surface with reactive centrifugal force to overcome its cohesion force and gravity. This ingenious bowl can create standing waves that spout water up to 3 feet high through vortical momentum spinning in water mass. Made from a bronze alloy from a foundry on the outskirts of Beijing, when the handles are rubbed by the palms of the hand, the bowl would begin to hum and vibrate, at audible resonant frequencies and felt in a rumble it can perpetually spout standing waves. Image on above middle is tidal bore in Shubenacadie River on 26/10/06, Nova Scotia's largest river, take note of the circular wave patterns with big and small whirlpools in spiral arm clusters on the right side where water is rough, this scenario closely resembles a geographical terrain in Siberia. The Solar System arrangement was aligned Earth-Sun-Venus-Mars crossed with aligned Earth-Moon-Mercury-Jupiter and also crossed with aligned Saturn-Earth-Neptune. Image on above right is a close up of a Turnagain Arm bore tide from the image below, take note of the vertically spouting water along the arc of the tidal bore, also take note of the circular wave patterns with big and small whirlpools in spiral arm clusters on the right side where water is rough. In the smooth surface water on the left, there are also vaguely visible homogeneous shallow whirlpools in cluster that seems to be in a relative steady state. 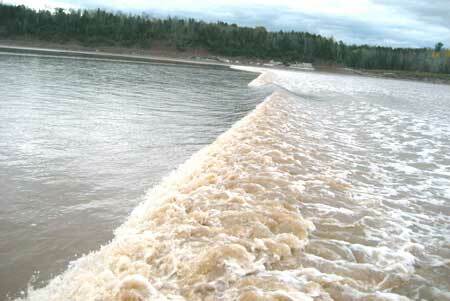 The horizontal parallel lines in the smooth water were waves of an undulating driving force for this tidal bore. Circular wave patterns with big and small whirlpools highlighted, spiral arms along the main arc are not highlighted. The transversal wave animation on right with a small red ball simulates the molecule of water that moves in a circular path on the surface of a propagating wave. When the angular momentum of the vortically spinning cluster of water has overcome the cohesion of water and gravity in a torque-free precession effect, a breakoff portion of the vortically spinning cluster of water would be vortically hurl up into the air periodically in a cyclical manner. Solar system arrangement on 03/10/1993 was aligned Jupiter-Sun-Earth crossed with aligned Mars-Mercury-Earth-Moon and also crossed with aligned Earth-Uranus-Neptune around September equinox. 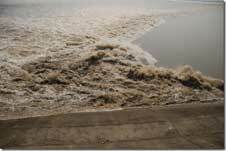 The Qiantang Tidal River Bore: The largest tidal river bore in the world, China, can be 4m high, 3km wide and travel at speeds in excess of 15 mph. At certain locations reflected waves can reach 10m and the thunderous roar can be heard over an hour before its arrival. Tidal bore-watching festival by the Qiantang river is from the 17th day to the 19th day of the eight lunar month (around Sep 23 to 25). Tidal bores of Qiantang river are typically without gale winds throughout the event, this suggest the origin is more likely to be seismic waves propagation from the forced vortices of mantle sphere that have had occurred underneath Earth's crust in their precession effects. aligned Saturn-Venus-Earth around September equinox with Sun right on top at noon. Turnagain Arm bore tide (which borders anchorage) has one of the largest tidal bores (was witnessed to be over 300km wide) in the world with waves at height of more than 30 feet. Image also show water have spout vertically upward in the inner arc. 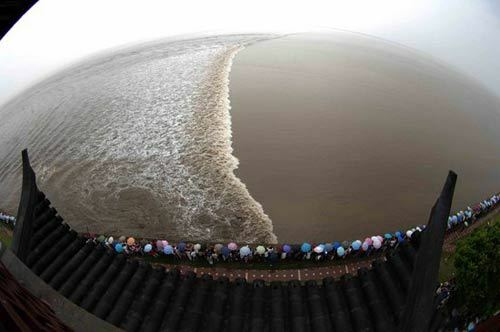 A huge tidal bore was manifested in the Qiantang River as shown in the above photo images, and this is a predictable yearly event that occurs around the September equinox. The Solar System arrangement for this tidal bore event on the 15th of September 2008, was an aligned Sun-Earth-Moon that was cross-aligned with aligned Mars-Venus-Mercury-Earth, which formed a T-junction crossed alignment with the Jupiter-Earth alignment. Concurrently, typhoon Sinlaku was affecting a coastal region at Haining City in East China's Zhejiang Province. See the UVS topic on "Tropical cyclone" that elaborates on how such atmospheric events could be correlated with the arrangement of Solar System objects. Do visual thinking to imagine a tidal bore event has occurred in a river where the surface has turned to a layer of ice, so instead of seeing the tidal bore, a person standing on the icy surface would experience tremor instead. And if the tremor caused by the tidal bore is strong enough, the icy surface lifted and stressed by a surface seismic wave could crack. This surface seismic wave acting on the icy surface can be recorded as an oscillation of the ground with a seismometer, and although this characteristic is similar to a type of earthquake cause by surface seismic waves, it would be isolated as a tidal bore event for it occurs on icy surface instead of Earth's crust. The transverse seismic wave could push and thrust a more movable cracked ice sheet to overlay on top or below another less movable ice sheet, the gradual thrusting process would force the ice sheet below to displace downward. When a critical stress level is reached for any part of these bent and stressed ice sheets, the ice sheet at stressed points could buckle in a progressive manner. This could cause the ice sheet to progressively snap either in upward or downward direction, which could be similar to a type of earthquake with severe vertical jolts caused by p-wave of vertically buckled tectonic plates, or in sideway horizontal direction similar to another type of most destructive earthquake for building structures, characterized with horizontal oscillating surface waves of interacting p-wave and s-wave on horizontally buckled tectonic plates. However, even with a strong focused torque-induced precession rendered by the Solar System alignment effect, rendered thrusting effect and caused tremendous stress on tectonic plates at a fault line, it might not reached a critical stress level for the tectonic plate to rupture during the strong precession event. Consequently, in another precession event that might be weaker, the tremendously stressed tectonic plate having reached the critical stress level, could snap to cause a major jolting earthquake. Understanding precession effect and knowing the Solar System alignment effect although is crucial, understudying in detailed measurements for local circumstances for an earthquake prone area, is also essential for improving earthquake predictions. See the UVS topics on "The driver of earthquake", "The T-junction crossed alignment of Solar System objects" that elaborates on the vortical effects caused by a peculiar arrangement of Solar System objects, and "Earthquakes and volcano eruptions are associated with Solar System arrangement". See also an externally linked topic on "Moonquake" that elaborates on stresses caused by tidal forces would cause a regular monthly pattern of moonquakes on the Moon and this was empirically observed. ~ With thanks to Graham Burnett for bringing into attention the phenomenon of tidal bore through an interesting discussion on natural event. Transversal wave animation - physics-animations.com, the thumbnail animation is used with written consent from Alexander.